Borderlands: Game Of The Year Edition is now available for digital download on Xbox One, PlayStation 4, and PC via Steam. The king of cooperative shooter-looters is back with a facelift full of enhancements. Equip bazillions of guns as one of four trigger-happy mercenaries, each with unique RPG skills. Take on the lawless desolate planet Pandora in pursuit of powerful alien technology: The Vault. With new weapons, visual upgrades, all 4 add-on packs and more, enjoy the highly acclaimed FPS/RPG solo or in 4-player split screen co-op! Borderlands: Game of the Year Edition includes new weapons, visual upgrades, character heads, gold chests and keys, all 4 add-on packs, and more! The game is Xbox One X Enhanced, featuring 4K Ultra HD and HDR. 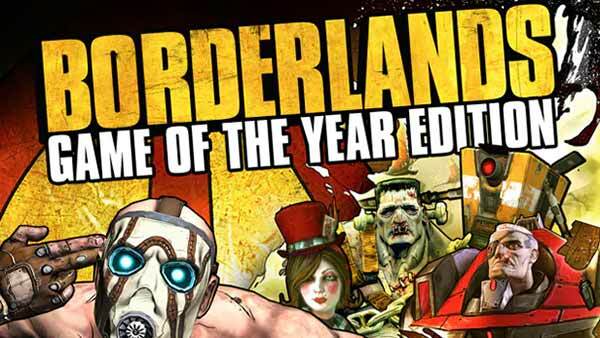 Borderlands: Game of the Year Edition is available now on Xbox One and PS4. Download it from the Xbox and PlayStation digital stores right now.